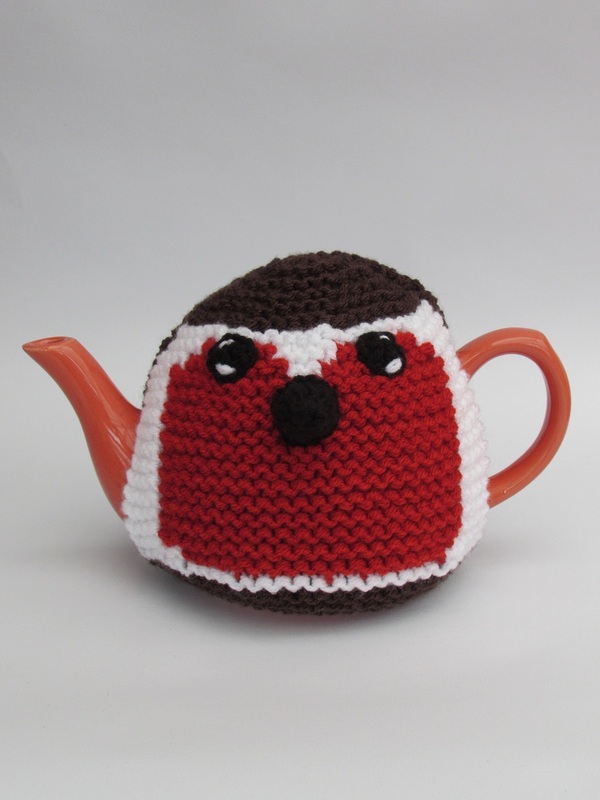 The Kit-Tea Cat tea cosy is handcrafted from double thickness yarn for extra insulation. 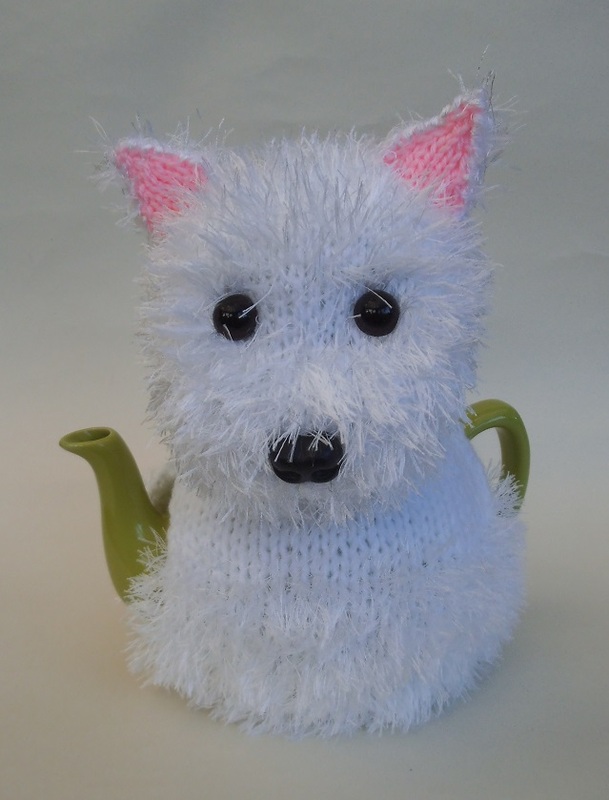 The Kit-Tea Cat is made from Chestnut and Glitter yarn that has a furry effect when knitted. The cat has a collar with a bell and tag with the initial 'T' . 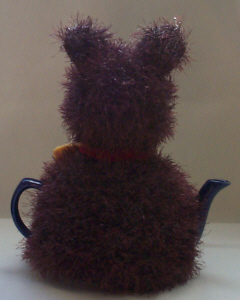 Kit-Tea Cat does not have a tail. The cat has green cat like safety eyes and a black safety nose. 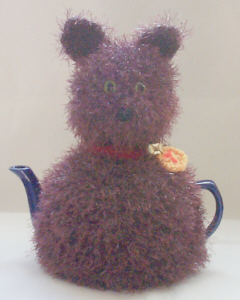 A fluffy furry Kitty is the perrrrfect way to keep your teapot nice and hot. This is a fabulous pattern. 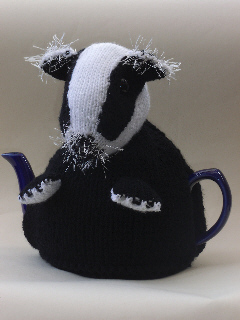 The tea-cosy looks many times better than the photo suggests, but it is difficult to photograph. 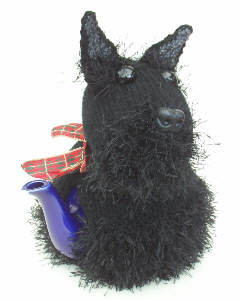 The cat is very lifelike and a real eye-catcher. 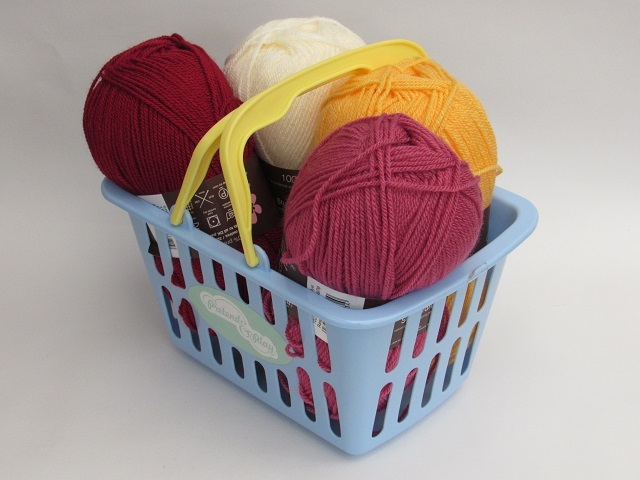 The end result is worth the effort of doing all those increases with such a lot of yarn. The head in particular was a trial to make. Even so, excellent and I love it!